“Enamel Tray” - Working with an enamel factory, I decided to focus my research on welding and, more specifically, on handles. After some experimenting, I decided to mix this concept with craft work. 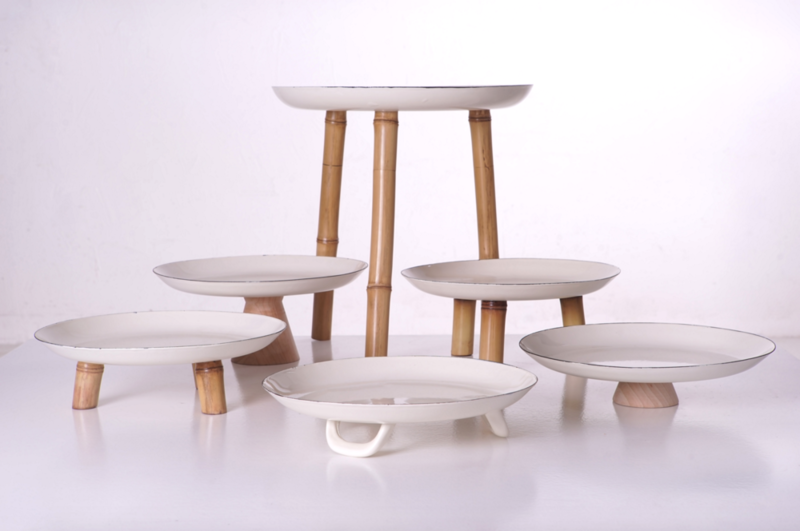 The final products are trays made of enamel, with feet made of natural elements, like bamboo and wood. I used the bamboo flute workshop to create supports. “Foldable Lamp” - I always dream to have a giant paper lamp, so I went to the paper umbrella workshop with this idea in mind.